Tuff-Tie Foot Restraints are the only disposable restraints made specifically for feet. They offer added restraining power for the more difficult and dangerous situations. 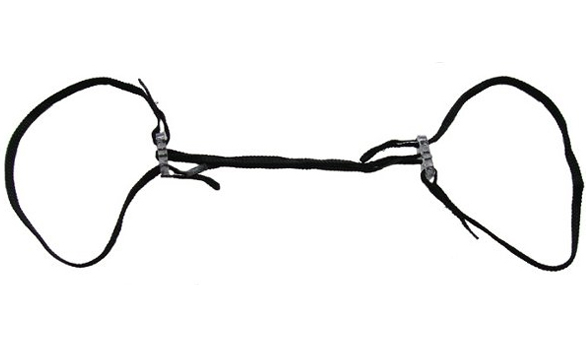 Same strength and features as the original Tuff-Tie, plus a longer end cord. Fast, one-piece application. A number of agencies now use Tuff-Tie foot restraints instead of hand restraints. They find the larger loops to be more convenient with a prisoner who is resisting. Available in black only. Tuff-Ties are an amazingly effective alternative to cable ties. Tuff-Ties are made of braided nylon cord with a reinforced poly-carbonate locking block, they are very secure and nearly indestructible. Extremely compact, Tuff-Ties can be carried in your pocket or stashed in the bottom of your handcuff case. 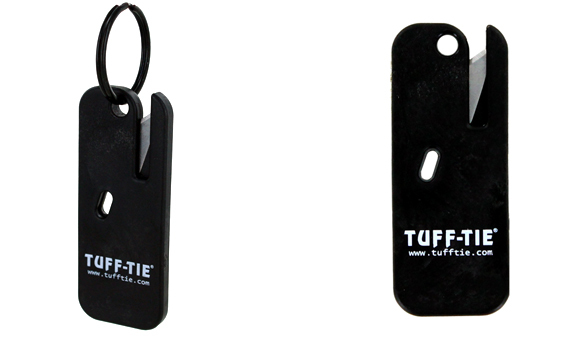 -Tuff-tie is used by thousands of correctional and law enforcement agencies around the world. -Pre-threaded - ready to use and apply. Has a double locking feature. -Unlimited shelf life - Tuff-Tie is not affected by exposure to sunlight, temperature, or environmental conditions. 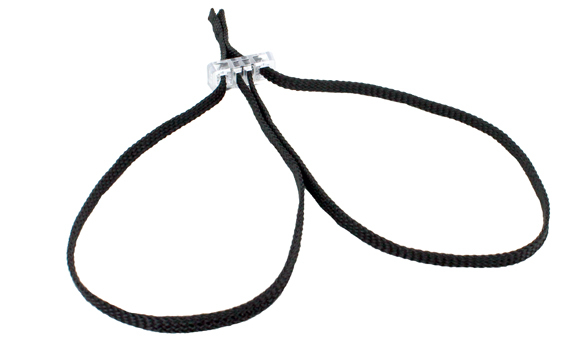 -Flexible - Tuff-Ties will not cut into skin or cut off circulation if applied properly. -Lightweight and easy to carry - TuffTies won't tangle in your pocket. -Non-metal teeth will not rust or corrode. The poly block is virtually indestructible. -Designed by a police officer for law enforcement use. -Manufactured by a leading plastics company under strict supervision. -Every Tuff-Tie unit is tested prior to sale. Made in USA. -Currently available in black only. Cord tensile strength: over 500 pounds. Cord Material: flat diamond braided nylon. Locking block material: reinforced poly-carbonate. Assembly weight: only 8 grams (1/4 ounce). Loop circumference: 12 inches (each side). The Tuff-Tie Transport Hobble is made of braided nylon cord with 2 reinforced polycarbonate locking blocks. Very secure and compact. Ideal for prisoner transport. -No need for removal upon transfer. The Tuff-Cutter Cutting Tool 2.0 is perfect for removing Tuff-Ties. Patent pending design features recessed safety cutting blade in an unbreakable plastic housing. Included keyring allows you to clip to keys, vest, or other gear. The cutter can also be used as a seat belt cutter, box opener. or to cut tough plastic packaging. Compact and lightweight, measures 2 3/8"x 7/8". Also works great on Cobra Cuffs, but not on other disposable nylon restraints. 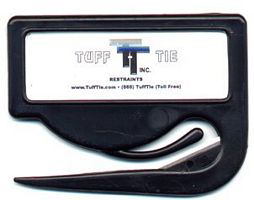 The Tuff-Cutter Cutting Tool for Tuff-Ties features a quick - 1 second release. The cutting tool is designed to be safe and it can't be taken and used as a weapon. This tool eliminates the need to carry pliers, knives, scissors, or other potential weapons. Useful in rescue operations - cuts through seatbelts like butter. For use cutting Tuff-Ties only. Will not cut other nylon straps like Monadnock, Max-Cuff, or ASP.